The 86th Academy Awards ceremony can be viewed as a demonstration of the diversity celebrated in the motion picture industry as well as the work that still needs to be done to promote social equality on screen. The show was hosted by openly gay Ellen DeGeneres, whose quirky charm was a nice change from Seth McFarlane’s lewd commentary as last year’s host. Ellen is one of America’s premier lesbians, meaning that she is widely accepted in mainstream pop culture despite her sexuality that goes against conservative values in certain parts of the country. Well played, Oscars. Often criticized as focusing on white performances, this year the Academy gave two of its highest honors to African Americans in film. Historical drama “12 Years a Slave”-which depicts the brutality faced by blacks in the slavery era-won Best Picture, and deservedly so. Best Supporting Actress went to the film’s breakout star Lupita Nyong’o, who is of Kenyan descent. “Dallas Buyers Club”, the star-studded independent film that tells the story of HIV/AIDS patients fighting for a cure in 1985, also took home top honors. The awards for Best Actor and Best Supporting Actor went to Matthew McConaughey and Jared Leto, who play a straight man and a transgender woman with HIV/AIDS in the film. Leto is (as far as we can tell) a heterosexual male and underwent an extreme transformation to play his role. The result: a believable and heart-wrenching performance rightly cemented in Oscar history. But what kind of message is being sent when a cis-gendered straight man plays a transgender woman and receives critical acclaim for it? Are we celebrating the diversity and acceptance of the men and women who make these movies, or just the abstract idea of the fictionalized characters that they are playing? Even Nyong’o’s name evokes strong African roots, a far cry from the days when actors and actresses with names that were “too ethnic” had to Americanize them as part of Hollywood’s protocol. 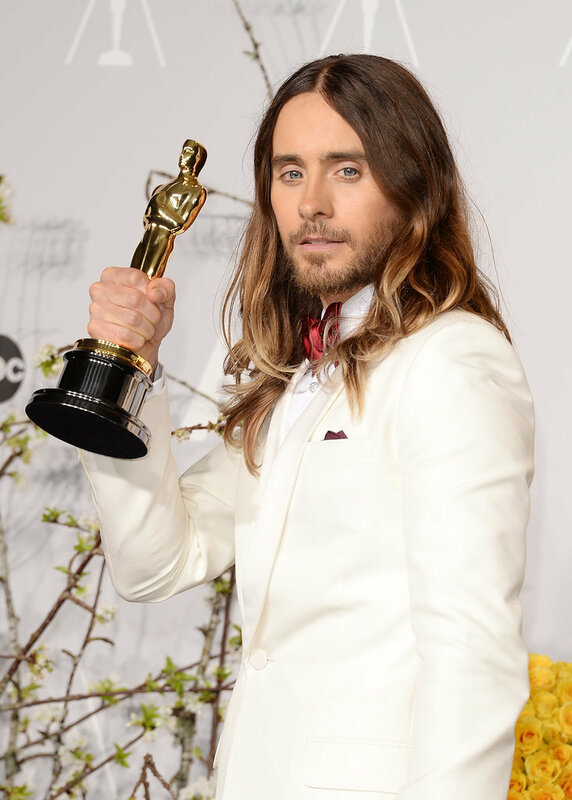 But when Leto won Best Supporting Actor, what did transgender women see? Did they see themselves reflected on television? Did they feel empowered? My guess is no. Despite some minor progress in the past decade, individuals that identify as transgender are still essentially outcasts in mainstream, hetero-normative society. Discomfort and ignorance towards the trans community often leads to shame, violence, murder, and suicide. Visibility is a major issue for trans individuals, as social norms tend to restrict how this group is represented in the public sphere. Trans characters are scarce in studio films, though the independent sector tends to be more receptive to these kinds of portrayals. Even so, they are overwhelmingly portrayed by actors and actresses who don’t identify with transgender existence. Blame the heterosexist nature of Hollywood, blame the misconceptions of the unwashed masses, blame society for not being more accepting. The fact of the matter is that transgender people are more likely to see pieces of themselves in reality television (see “RuPaul’s Drag Race”) and documentaries than feature films. Those who identify as trans and have to endure the hardships it brings need positive and authentic trans role models in feature films just like African American girls need role models like Miss Nyong’o. This may not solve the problem of transphobia or racism in the United States, but it would at least make a statement. The statement being that Hollywood stands by people of all colors, genders, and sexual orientations and respects their rights to tell their own story. Jared Leto’s performance as a trans woman was certainly Oscar-worthy, but real merit will come the day that transgender individuals can openly represent themselves in Hollywood. As a member of the LGBT community and lover of film, I hope that day is within our lifetime.